The green economy tarpaulin is a lightweight alternative to our other covers and groundsheets. It is manufactured from low density polyethylene (LDPE) and then laminated on both sides with high density polyethylene (HDPE), producing a 100% waterproof cover. The hems are rope reinforced and have aluminium eyelets situated approximately every metre along all sides of the tarp. The eyelets are 11mm in diameter allowing a number of different size fixings to be used when deploying the sheet. This discount cover is also rotproof, shrinkproof and has been UV treated, therefore increasing the potential life span of the tarpaulin. The groundsheet cover has a weight of 80gsm; this combined with the resilient structure produces a reliable tarp that is also easy to handle and move. Additionally it is easily folded making transportation effortless. It is regularly used by working professionals as well as home and DIY purposes. This product is ideal for many different applications such as covering logs and building sites; as well as being useful as a groundsheet or camping sheet. 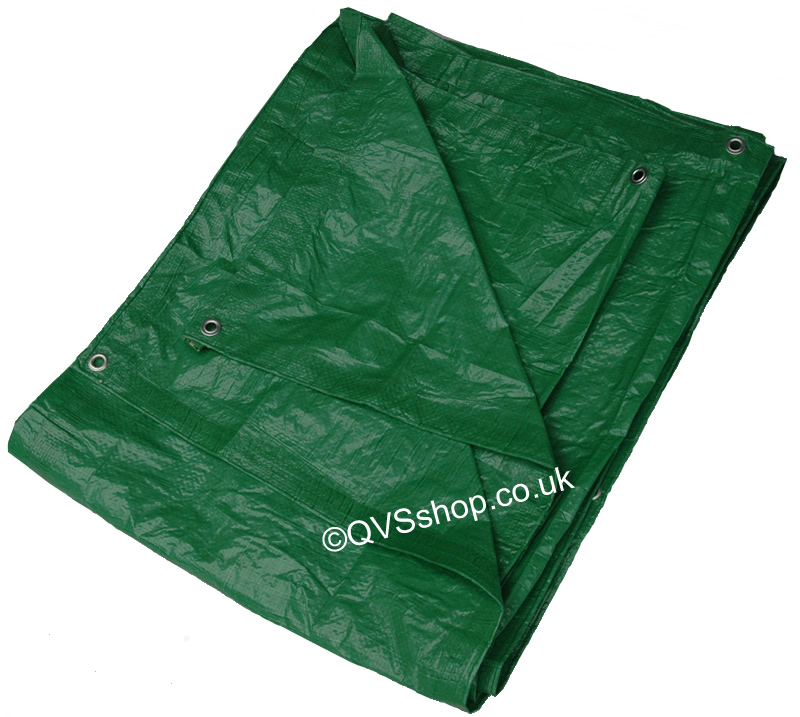 This green economy tarpaulin is also available in blue and white in specific sizes. 80 grams per square metre. Sizes available: 2.4m x 3m, 2.7m x 3.5m, 3.5m x 4.5m, 4m x 5m, 3.5m x 7m, 4.5m x 6m, 5.4m x 7m, 4.5m x 9m, 7m x 9m, 7m x 11m, 10m x 10m, 9m x 14m, 12m x 20m.